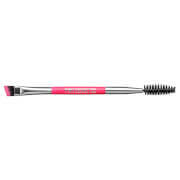 BeautyPRO Eyelash and Eyebrow Makeup Brush with Comb blends effortlessly for a flawless finish. The sleek black handle design is classic while the nylon bristles are soft and flexible. Ideal for grooming brows and lashes. 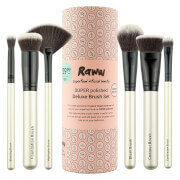 Great brush to add to your basics! Great basic eyelash and brow brush that does the job! I use it to help separate lashes before applying mascara and works perfectly!